Hello, Michael! I can’t find where defined $url in your article. 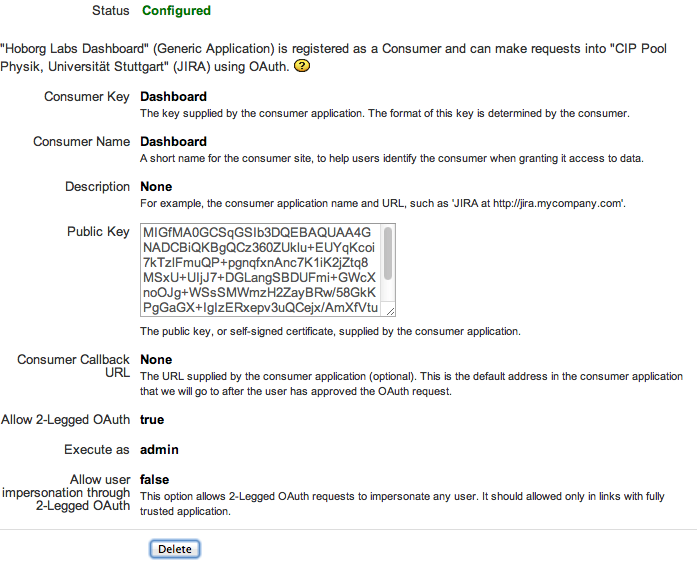 JIRA 7.2, and I don’t understand why I don’t see the “Allow 2 legged OAuth option”. It’s your Jira server, e.g. https://jira.example.com, http://jira.example.com:8080, https://www.example.com/jira, etc. I no longer run Jira, and I only used it up to version 6.x. But have a look at the documentation: https://confluence.atlassian.com/adminjiracloud/using-applinks-to-link-to-other-applications-779295829.html — it looks like 2-legged is now on by default, but you can manually enable it in the token properties.